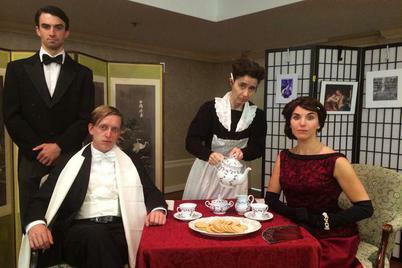 You’ve been invited to a high tea for the Crawley Family of Downton Abbey©. The young lovers, Matthew Reginald Crawley and Lady Mary Crawley, have been courting one another for years and the estate has very particular opinions of the relationship unfolding. Their blooming romance will affect the inheritance of the Estate and has the residents and staff up in arms. The lovers have different ideas of how finances should be run and neither is backing off from the dispute. The family has come together to hear an announcement from the matriarch, the Dowager Countess Violet Crawley, but as they commence the festivities, a blood-curdling scream resounds. Robert Crawley, the Earl of Grantham has been murdered and it is up to you to decide who is responsible! Which one of these characters committed the heinous crime? Join History At Play™ for a soiree of mystery, intrigue, and laughs that will leave you thirsty for more! 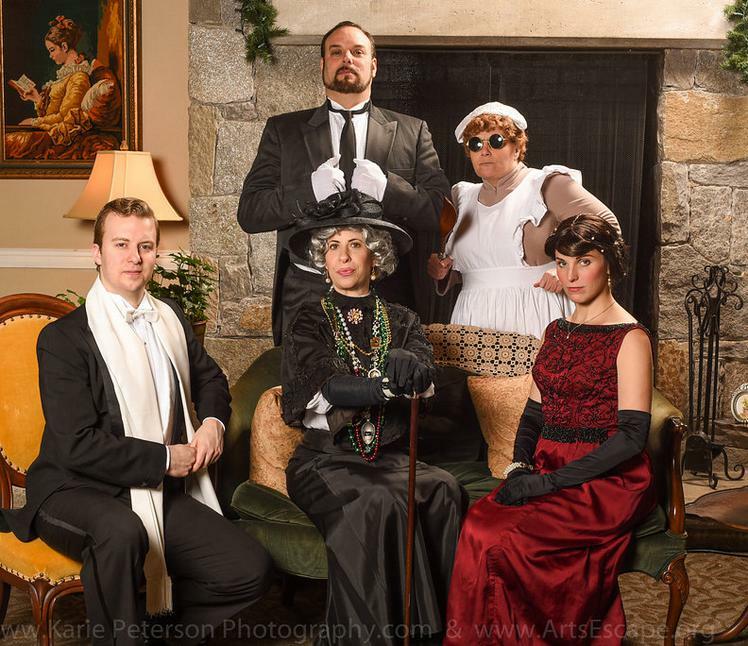 Come dressed as your favorite Downton character and participate in the performance. This event can be customized and should be hosted with food service (catering not included). Suitable for all ages. Running Time: Approx. 90 minutes. Join History At Play™ for this light-hearted spoof, in which we celebrate the engagement of Lady Mary and Matthew Reginald Crawley; a party that is clouded in ambiguity over the future of the stately Downton Abbey©. If only the characters can locate the missing will of a millionaire magnate, who left the fortune to the Abbey, they know the estate can be saved. Lady Mary and Matthew are joined by family members and staff in a whirlwind of entertainment, including songs, dancing, and plenty of laughs! Join History At Play™ for an unforgettable evening, where you get to be a part of the action! Come dressed for the occasion, in 1920’s attire, and get to know the Crawley’s in A Downton Experience™. This event can be customized and should be hosted with food service (catering not included). Suitable for all ages. Run time: Approx. 90 minutes. VENUE REQUIREMENTS: Audience seating is cabaret style. Our accompanist can use an on-site tuned piano, or may provide their own instrument for a materials fee. A Downton Experience™ programs occur with food service. If considering a buffet, please inform History At Play™ at time of booking. History At Play™ does not provide catering or waitstaff.